Israel PM Benjamin Netanyahu on Tuesday implored Palestinian leader, Mahmud Abbas, to recognize Israel as a Jewish state and to "abandon the fantasy" of refugees returning to Israel, fueling anger from the Palestinians. 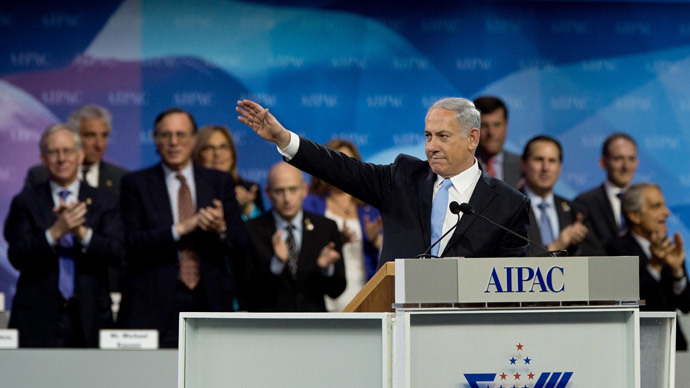 Netanyahu, speaking at a meeting of the influential American Israeli Public Affairs Committee (AIPAC) in Washington on Tuesday, appealed directly to the Palestinian leader with Israel’s demands before a peace agreement can be reached. "It's time the Palestinians stop denying history. Just as Israel is prepared to recognize a Palestinian state, the Palestinians must be prepared to recognize a Jewish state," he said. 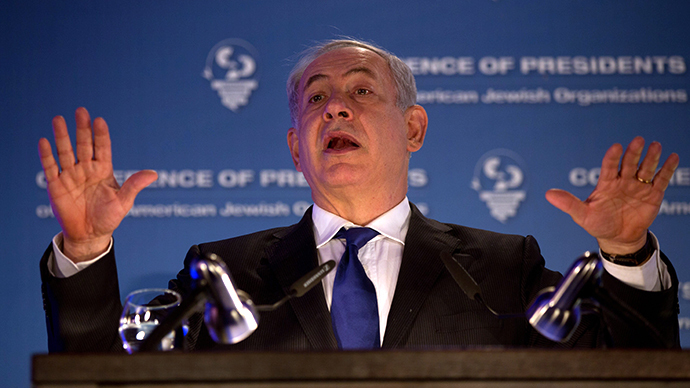 The Israeli leader then hit upon two controversial issues in a single sentence. "President Abbas: recognize the Jewish state and in doing so, you would be telling your people to abandon the fantasy of flooding Israel with refugees," he said. His words sparked an immediate backlash from Ramallah. Senior Palestinian official, Nabil Shaath, told AFP that Netanyahu's demand was tantamount to "an official announcement of a unilateral end to negotiations." "This is like telling the Palestinians they did not exist all these hundreds and thousands of years, that this historically has been a Jewish land," Hanan Ashrawi, a senior member of the Palestine Liberation Organization (PLO), was quoted by Reuters as saying. "Palestine historically has been diverse. There have been many tribes here. Our history is not going to be something we can deny," she said at a recent news conference. Abbas says the PLO already made a major concession in 1993 when it acknowledged Israel's right to exist and agreed that their future state should be built on land seized by Israel in the 1967 Six-Day War. The UN puts the number of Palestinian refugees and their descendants at 4.98 million - over half Israel's present population of some 8.1 million people. In a speech last month, Abbas said: "We do not seek either to flood Israel with millions (of refugees) or to change its social composition." At the same time, however, Palestinian officials say they cannot agree to the demands that millions of refugees and their families be barred from returning to Israel. But that seems to be exactly what is preventing the Israelis and Palestinians from reaching a mutual understanding that could finally lead to a two-state solution: neither side is able to ignore the disputed history of the land. For the Palestinians, the controversy dates back to 1948 when Israel was given state status by the United Nations. Although a huge victory for the Jewish people, it led to the displacement of hundreds of thousands of Palestinians from their homes. Netanyahu has said Israel flatly refuses to allow these displaced Palestinians from returning to the place of their birth. The Palestinians have based their acceptance of an Israeli state on the "right to return," as well as having East Jerusalem be declared the capital of the new Palestinian state. However, this is just one of the many thorny issues that US Secretary of State John Kerry is attempting to resolve between the two sides in a diplomatic rush to extend direct peace talks beyond an April-29 deadline. 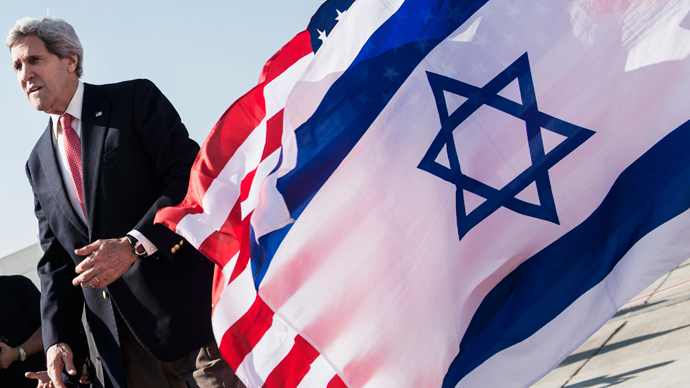 Before Netanyahu’s arrival in Washington, Obama warned that the United States may not be able to protect Israel if a two-state solution with the Palestinians fails. Another seemingly impassible chasm to cross is Netanyahu’s demand to maintain troops along the Jordan Valley, which borders the eastern side of the West Bank, saying he would not cede security to foreign peacekeepers. "Experience has shown that foreign peace-keeping forces, keep the peace only when there is peace, but when subjected to repeated attacks, those forces eventually go home... The only force that can be relied on to defend the peace… (is) the Israeli army," he said. 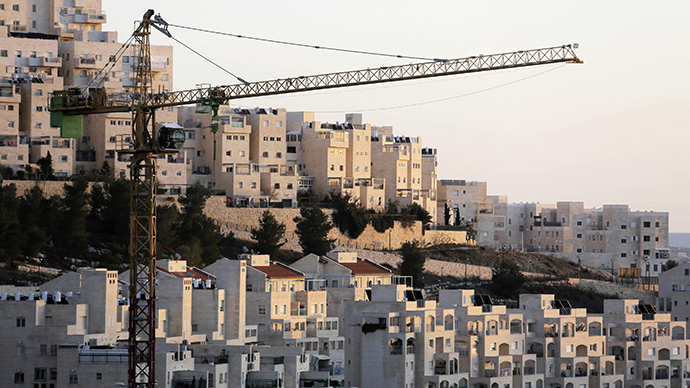 Netanyahu also slammed the Palestinian-led movement to boycott, divest from and sanction (BDS) Israel over its ongoing settlement development in the occupied territories. "The BDS movement is not about legitimate criticism, it's about making Israel illegitimate," he said. "That movement will fail." But BDS spokeswoman, Rafeef Ziadah, called the Israeli leader’s comments a "desperate attack," saying that governments were starting "to take action to hold Israel accountable for its violations of international law." However, some of Netanyahu’s comments were more upbeat, alluding to the economic opportunities that a successful peace agreement would create. "Peace with the Palestinians would turn our relations with them and with many Arab countries into open and thriving relationships," he said in positive remarks more commonly heard from reputed moderates like Israeli President Shimon Peres. "The combination of Israeli innovation and entrepreneurship could catapult the entire region forward. I believe together we could solve the region's water and energy problems." Palestinian President Mahmud Abbas is scheduled to meet with President Obama at the White House on March 17 to continue the negotiation process.